How does tourism impact Florida’s economy and growth? This is one lesson in a new series of Trace-Based Cases, critical thinking inquiry lessons, created by the USF Stavros Center, demonstrating the use of digital content in the classroom. Trace-Based Cases begin with a trace of something from the past, like an artifact, photo, painting, or other visual source. Based on research in critical thinking and questioning, Trace-Based Cases evolve through three steps of critical thinking questions: descriptive close-ended questions, analytic open-ended questions, and evaluative questions. 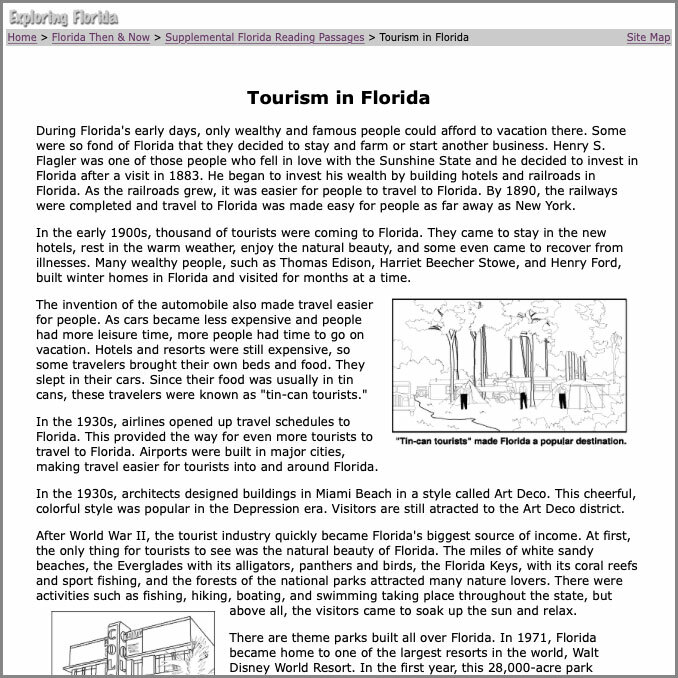 In this inquiry, we use a variety of digital sources to research about the economic impact of tourism to Florida.
. We begin with some descriptive questions. These evidence-based questions provide background information to help students contextualize. However, rather than assigning these questions, work on them together with some group activities that involve a variety of sources, including: artifacts, photos, paintings, maps, charts, graphs, and written primary and secondary sources. First, provide a trace of something from the past . 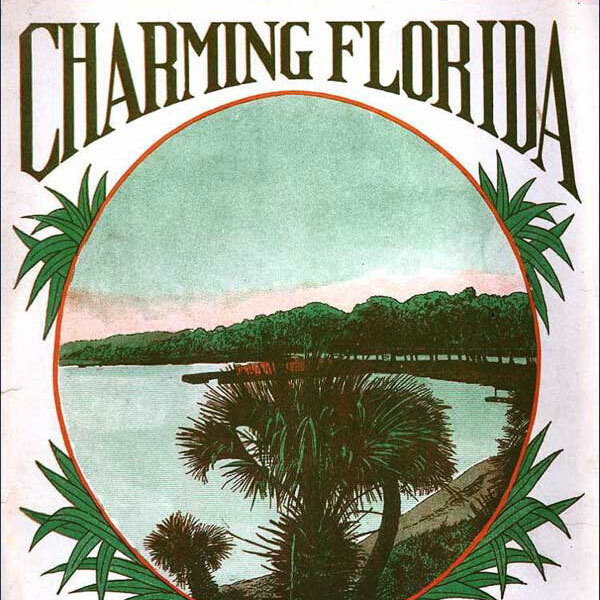 . . then we will trace Florida tourism through time. While showing this image and caption, ask: What is happening? When someone mentions “tourist season” ask: What is tourist season? Lead students toward making connections between the past and the present and tell them we are going to investigate tourist season over time. 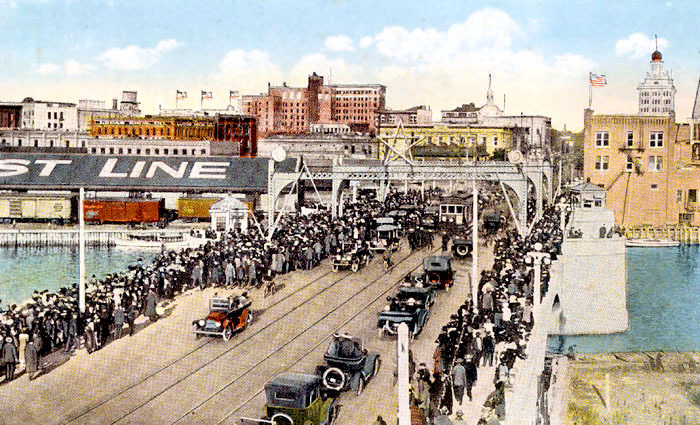 Crowds crossing Lafayette Street bridge in Tampa, Florida in tourist season. Ask some evidence-based close-ended questions that can be answered by searching for facts within a variety of sources, such as: artifacts, photos, illustrations, and paintings. For example, the above image is a postcard. Ask: What is a postcard? Tell students that in the past, people send postcards when they went on holidays to show their friends what it was like. Ask students what they do when they are doing something interesting and want to share it with friends. We can still send postcards, but we can also send instant photos. Ask a what question: What is this? (Guide the students toward discussing this as a drawing or illustration) What do you think is happening in this image? Who is in the image? When did this happen? (There isn’t a specific date, but students can make inferences based in the image about how old the image might be). Now tell the students read the passage about tourism in Florida. Reading passage is also available as a PDF. Before they read, focus on the title and ask: What is this passage about? Who were some of the tourists? Next, help your students develop deeper analysis questions. Step 2: Analysis Questions. Analysis part 1 begins with why and how questions, which explore the relationship of the parts to the whole. Post a large timeline on the board. First, as a large group, have students refer to the Tourism in Florida article as they fill in tourism over time. At the top of the timeline students note what happened with tourism. At the bottom of the timeline, they note how the tourist industry impacted the economy. 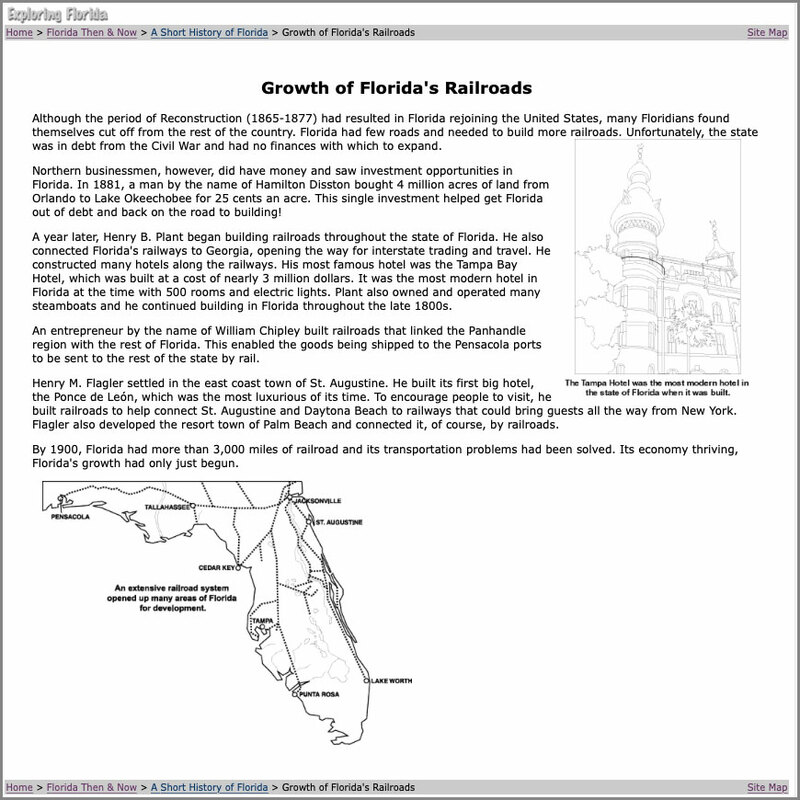 Reading passage on the growth of railroads (1865-1877). Also available as a PDF. Reading passage on Florida’s booming economy. Also available as a PDF. Reading passage on the Great Depression and the New Deal. Also available as a PDF. How did tourism evolve over time? How was tourism impacted by economic conditions? How did tourism as an industry benefit the economy? Why did/do tourists come to Florida? Exploring Florida photos of Coral Castle, Bok Sanctuary, Morikami Gardens, Silver Springs, and other tourist attractions. 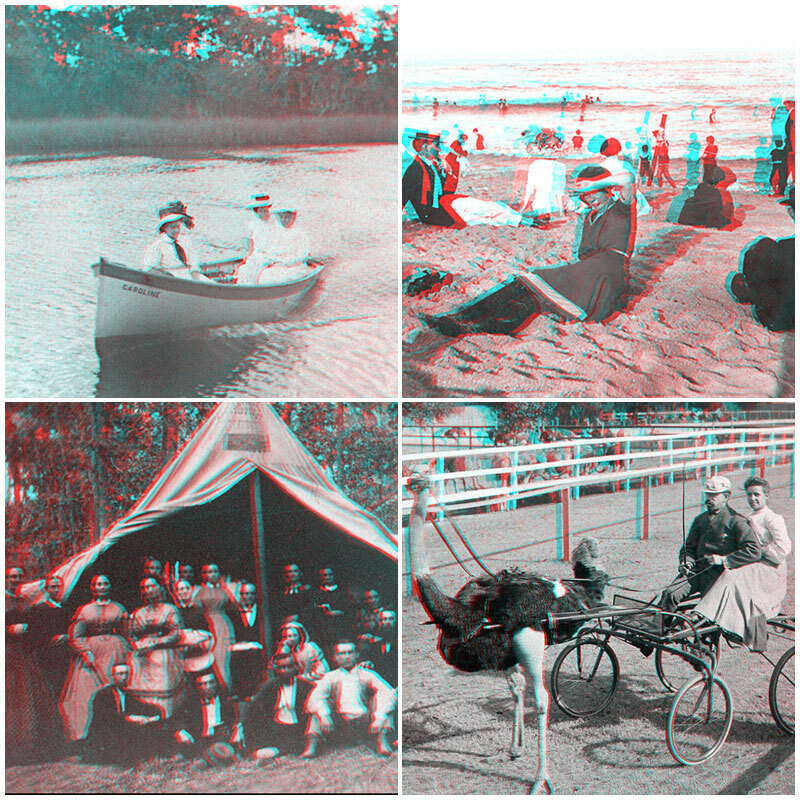 Stereoviews of Florida from the 1800’s. 3D glasses required for viewing. Words by Robert Payne. Music by Nella Wells Durand. 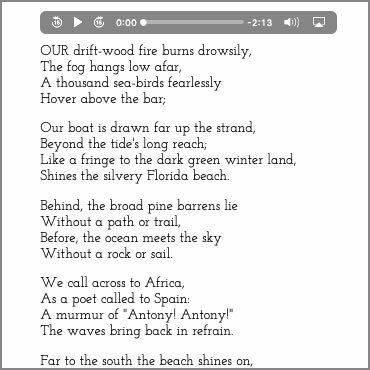 A song from the Exploring Florida website. Can be downloaded as an MP3 file. Words by J. Mortimer Murphy. 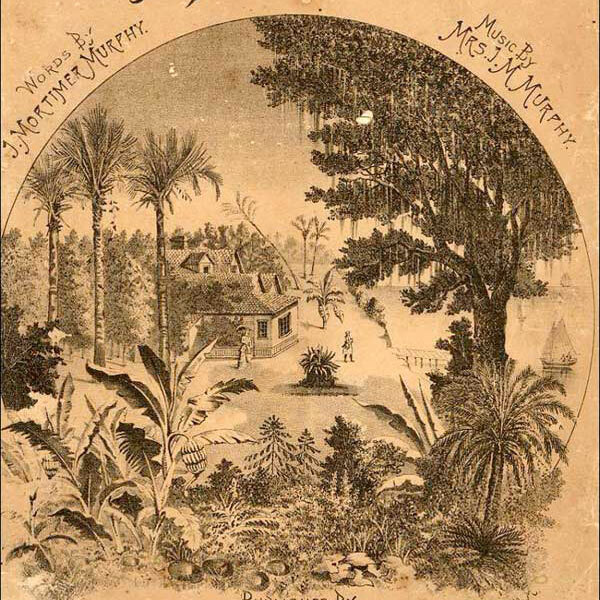 Music by Mrs. J. M. Murphy. A song from the Exploring Florida website. Can be downloaded as an MP3 file. 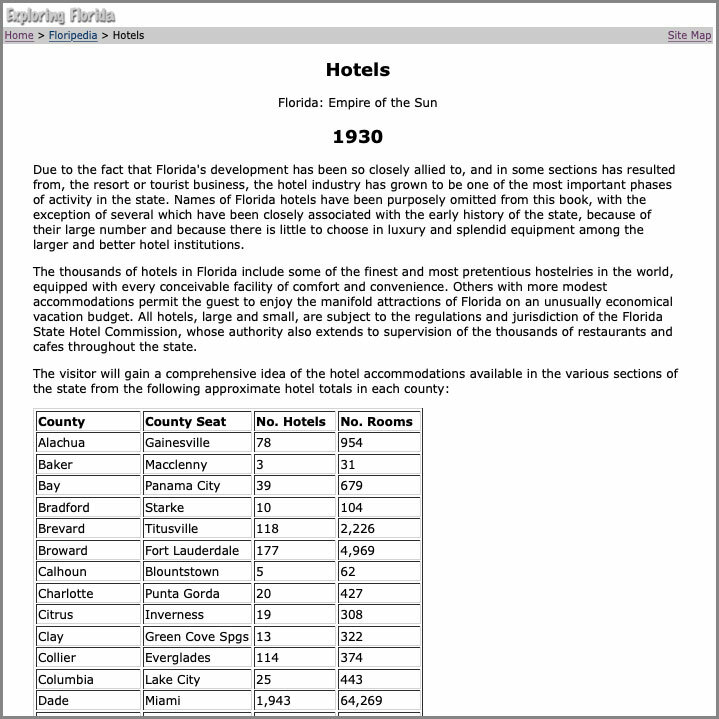 Data table of number of hotels and number of rooms of Florida hotels by county. 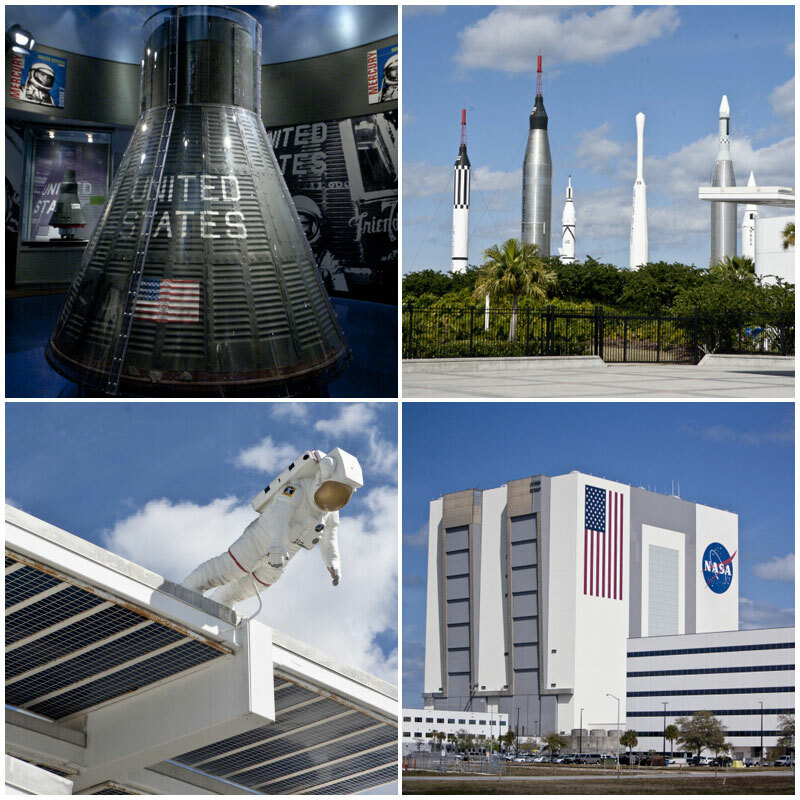 Photos of the Space Center from the ClipPix ETC website. 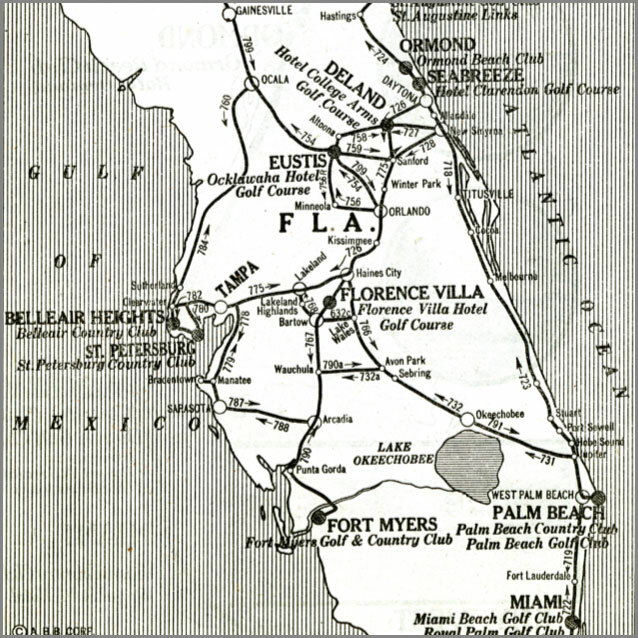 Map of “How to reach the best courses” from 1922. Also available as a PDF. 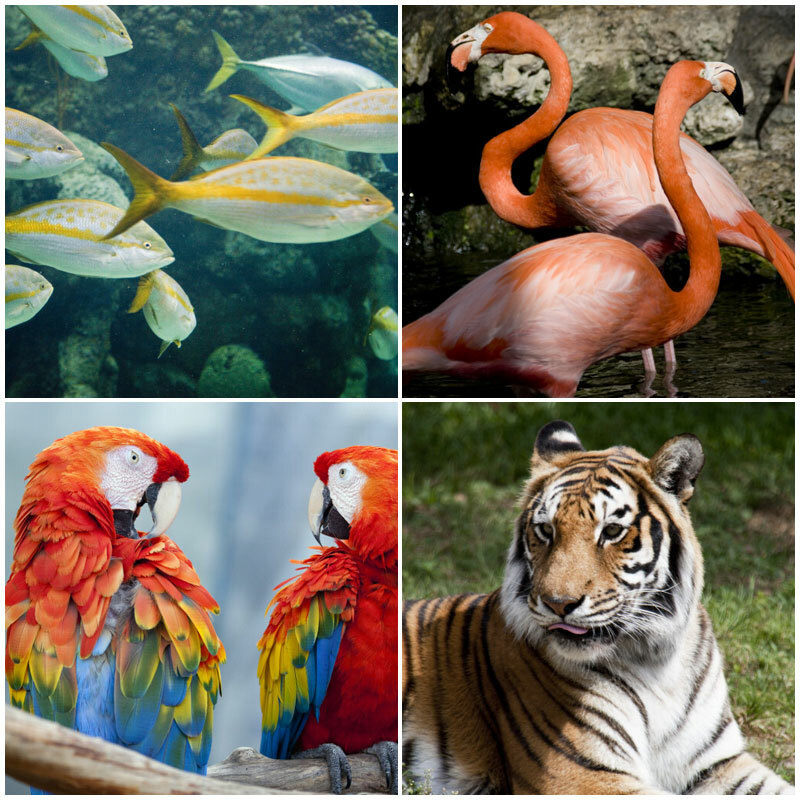 Photos of Miami Metro Zoo, Flamingo Gardens, Florida Aquarium, and other attractions from the CLipPix ETC website. 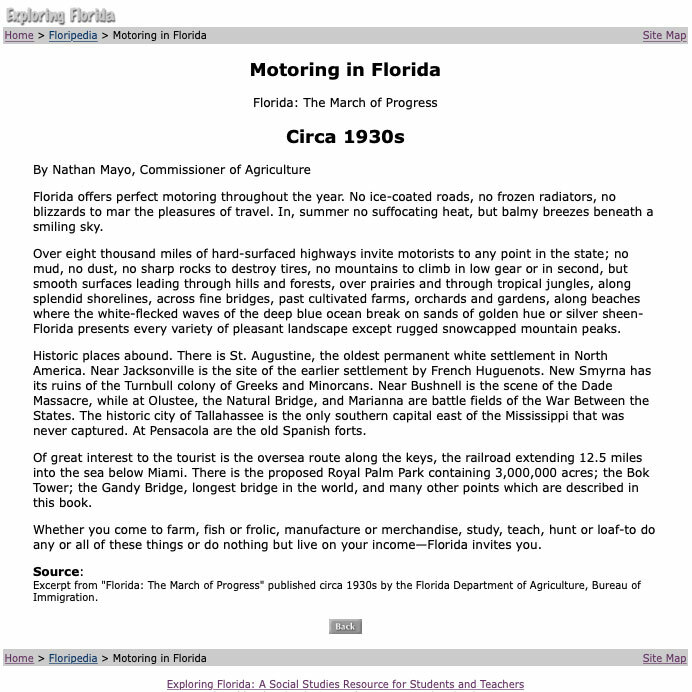 Department of Agriculture publication promoting the quality of Florida roads. A poem by Frank Sweet from the Lit2Go website. Words and MP3 file available. 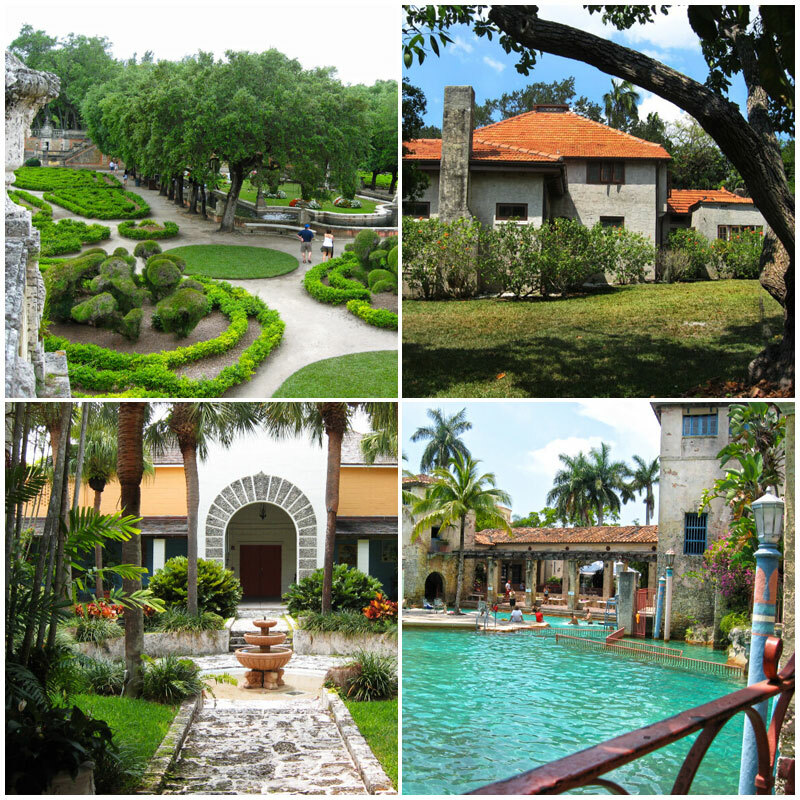 Photos of Viscaya, the Venetian Pool, and other historic houses and sites from the ClipPix website. A poem by Constance Fenimore Woolson from the Lit2Go website. 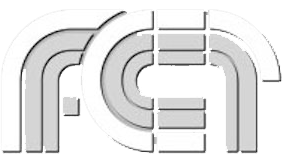 Text and MP3 file available. Step 3: Evaluation Questions. Evaluation questions considers implications, solutions, conclusions, or recommendations: What if? So what? What now? What next? What is tourism like now? What if there was no tourist industry in Florida? Then have students answer the big idea question: What is the economic impact of the tourist industry in Florida? They can create presentations using some of the sources provided. Ask: What next? 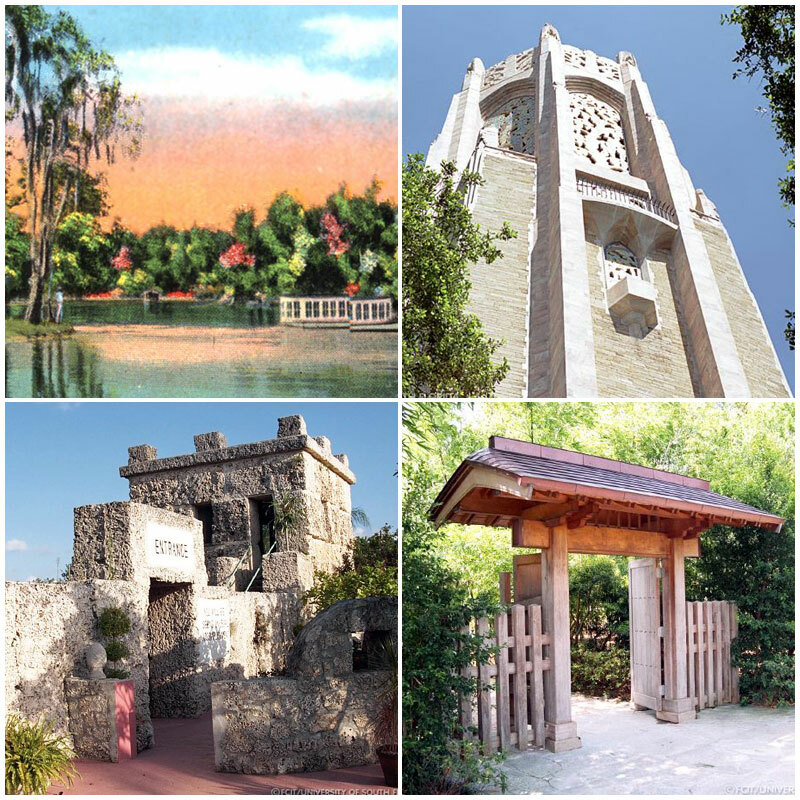 What could be the next big tourist attraction for Florida? Now that you know so much about Florida tourism, create a plan to increase tourism. What would you do? Once you have an idea, create a persuasive text to advertise your destination (an article, flyer, or social media post). 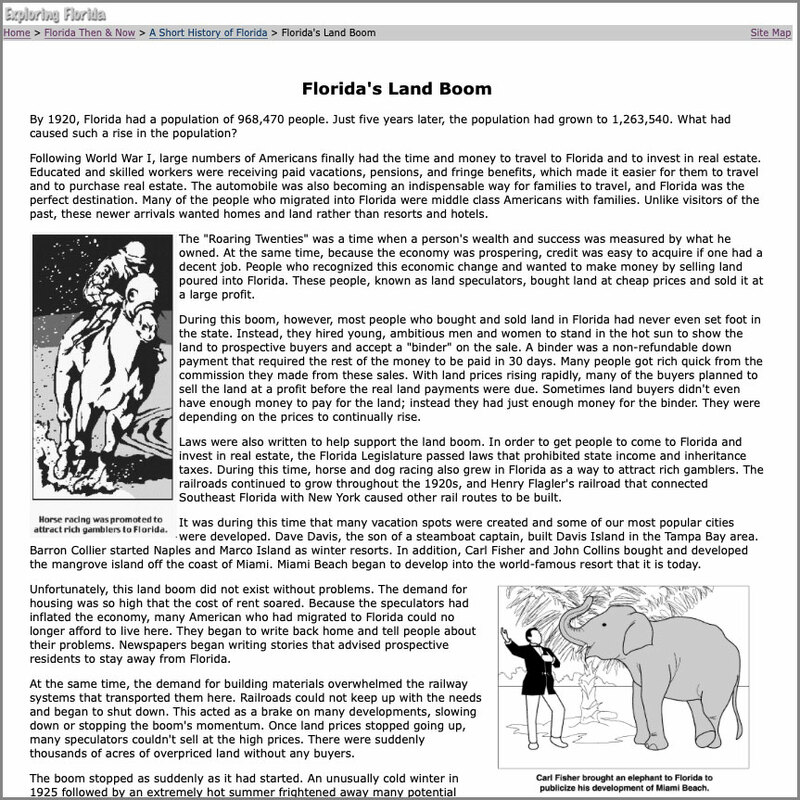 Here are the Florida Social Studies standards covered in this lesson. The first standard is the main standard. Then, when you investigate tourism over time, the additional readings touch on three historical periods that influenced tourism. 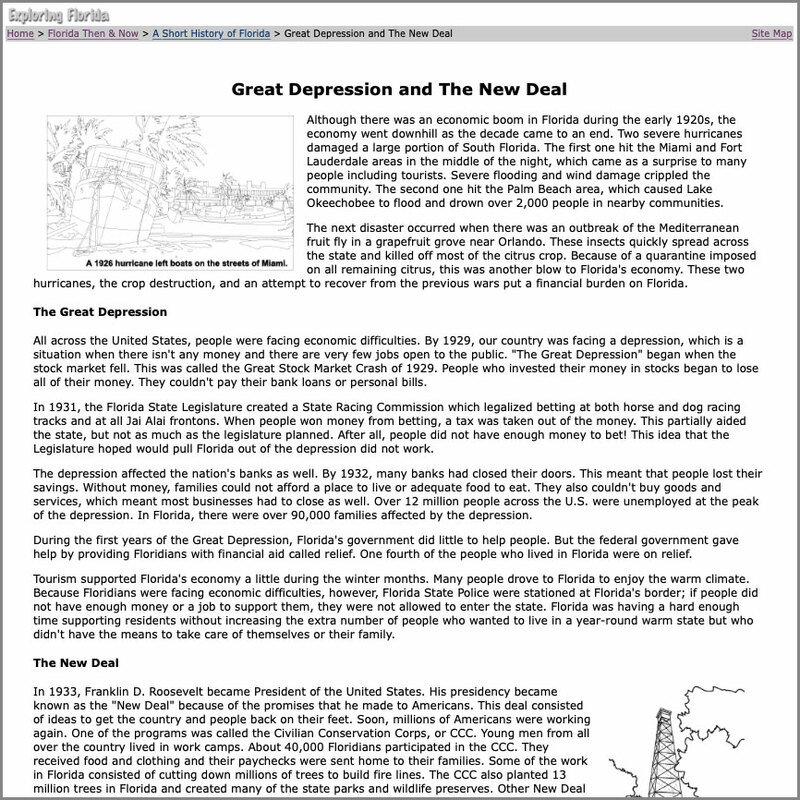 SS.4.A.7.1 Describe the causes and effects of the 1920’s Florida land boom and bust. Dr. Deborah Kozdras has worked with students from K-20 and now provides professional development and creates curriculum for K-12 educators at the University of South Florida Stavros Center.